seasonal eats & healthy treats, made with Love. 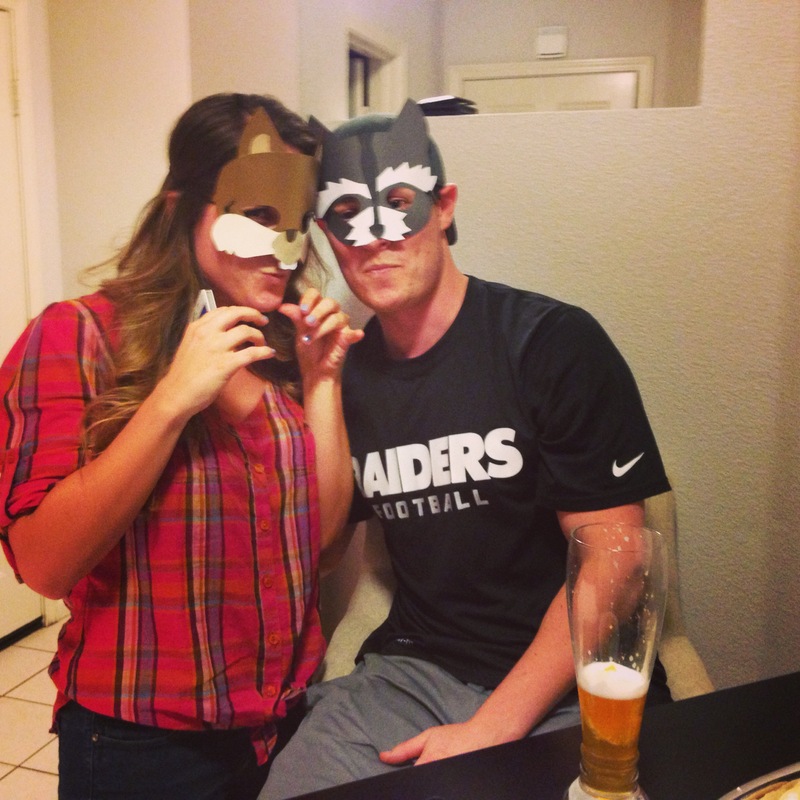 Meanwhile….Katie got to working on the animal masks! Appetizers are a must while cooking. 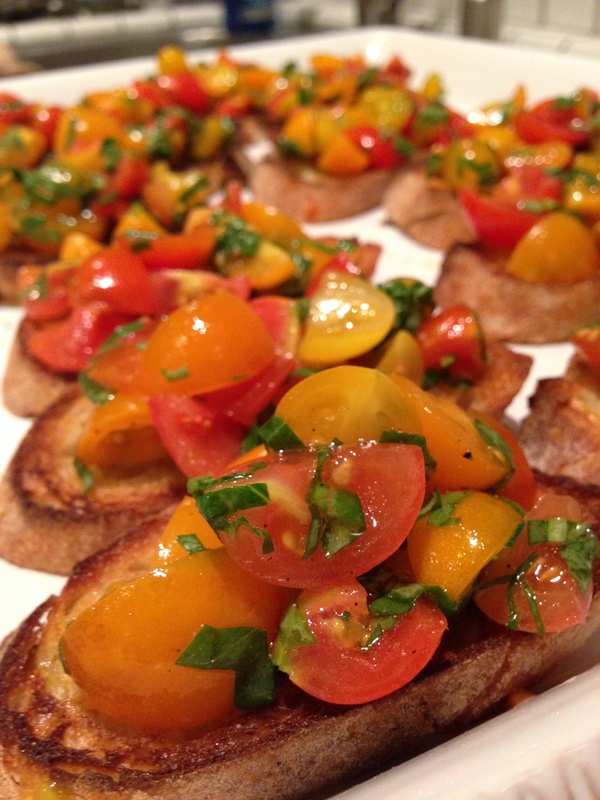 Katie loves Italian anything, so I made some bruschetta with fresh cherry tomatoes and basil. It’s super easy to make and even more delicious. Slice the baguette, brush with olive oil, sprinkle with salt and pepper, and stick it in the broiler. You can also rub a clove of garlic on the bread for extra flavor. Keep an eye on the bread in the broiler – it will burn if you turn your head for a second too long! Slice the cherry tomatoes in halves/quarters, mix with chopped basil and finely chopped shallots (I’m not a big fan of raw garlic, but go for it if you’re a garlic fan! ), and sprinkle with salt and pepper. Voila! Bubbles, check. 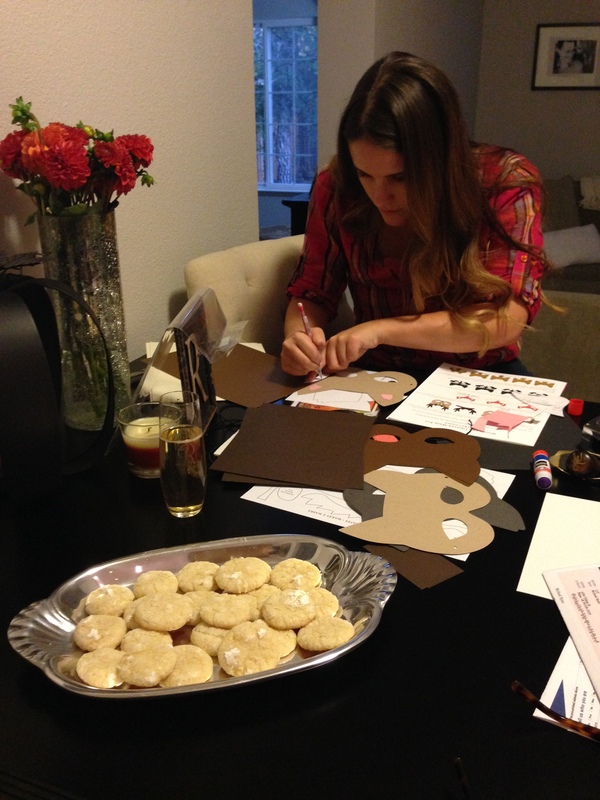 Cookies, check. Bruschetta, check. Now time for the entrees. 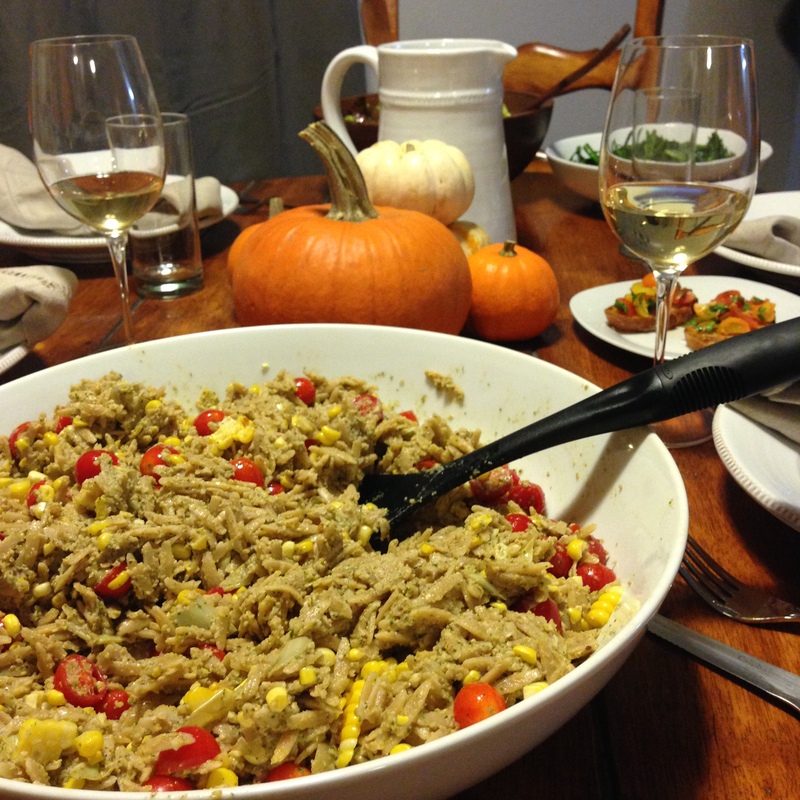 Sticking with the Italian theme, Katie picked out a Giada De Laurentiis recipe for Orza with Artichoke Pesto and Grilled Corn. I substituted the garlic with shallots and added 50% more lemon zest (never too much lemon!). I also used much less parmesan cheese than the recipe calls for, but feel free to add as much or as little as you prefer. I made a simple, easy green salad on the side. I used red leaf and butter lettuces, some halved cherry tomatoes, and made my favorite simple vinaigrette from Barefoot Contessa. 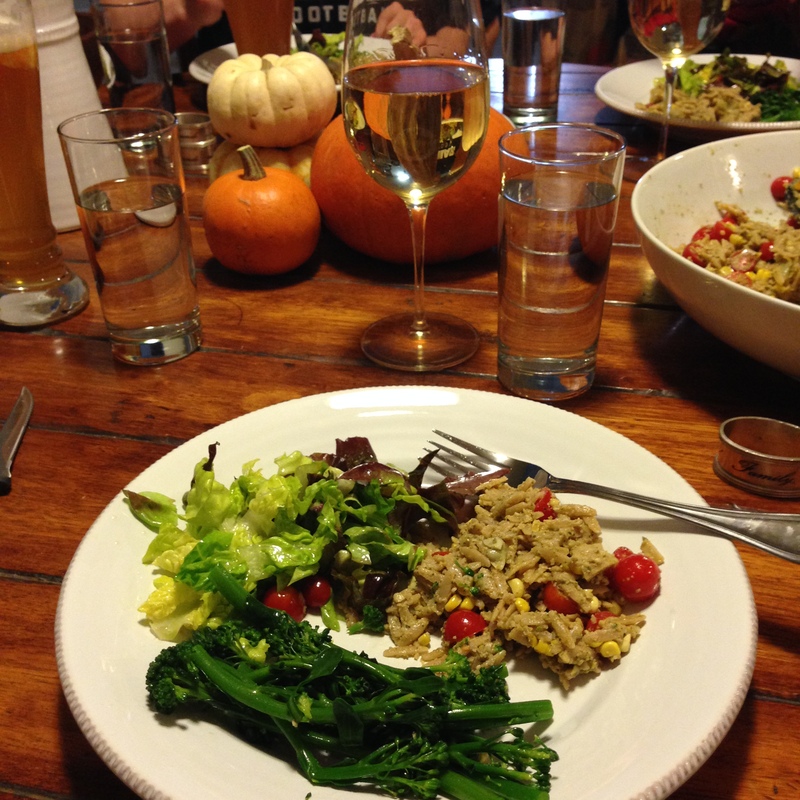 To get some greens on the plate, we steamed some broccolini, one of my favorite sides. Katie decorated the table with festive fall pumpkins and we were ready to eat. Bon Appetit! 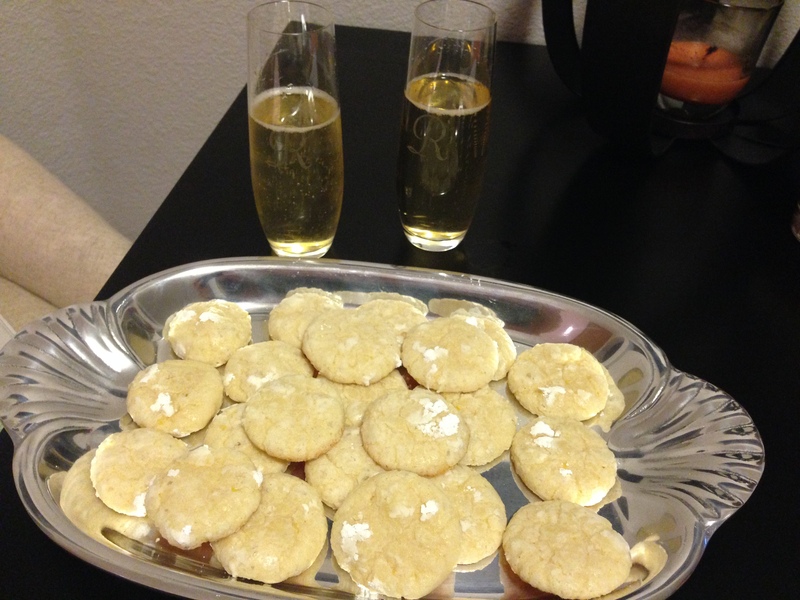 And then came the after dinner shenanigans…. 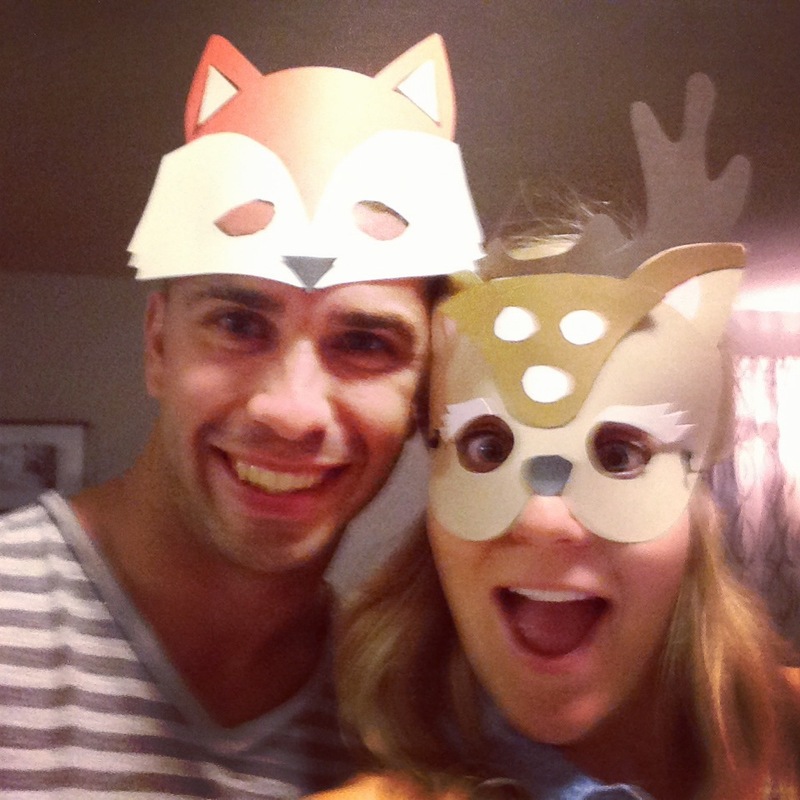 WHAT DOES THE FOX SAY?!!?! 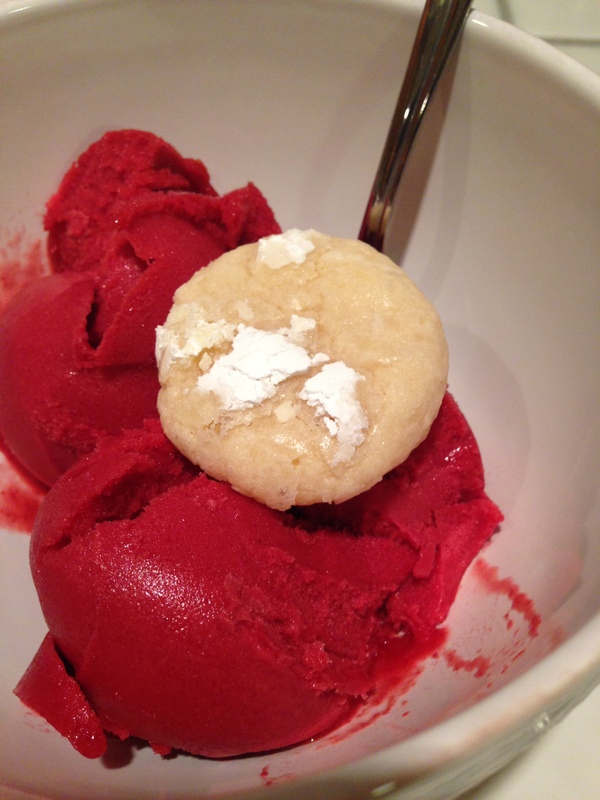 And last but not least, lemon cookies with raspberry sorbet to top off our first dinner party at the Ryans’ new home!